Sharing another wonderful holiday dish today from Fabio Viviani that combines some of my favorite flavors: honey, cranberry & mustard. 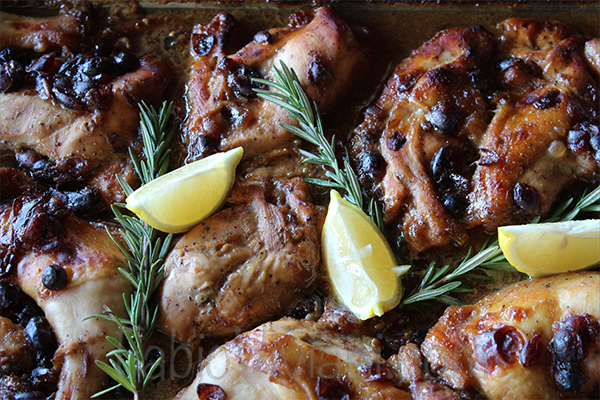 His Honey Cranberry Chicken would be a wonderful main course for any holiday party or Christmas dinner and it is quick and easy to make. Click here for the recipe. I'm a huge fan of Fabio's and have attended many of his cooking classes at Firenze Osteria. I always leave really inspired and highly recommend going to one if you have the opportunity. I'm looking forward to his Holiday Baking Class this Sunday! I will be using Maille Original Dijon mustard in this recipe as it makes ALL the difference. I literally can eat it by the spoonful out of the jar. I previously mentioned Maille mustard in my Almost Egg White Egg Salad post ... this would be a great appetizer for the holidays as well! If you have the Paprika recipe app and would like to download these recipes, please email me and I'll send it to you in the correct format. Thank you for a great recipe Fabio!